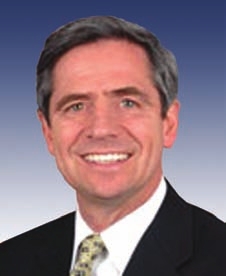 Rep. Darrell Issa: "The Sestak Affair - Obama's Watergate?" Congressman Sestak has continued to repeat his story whenever asked without varying from the original version. The White House however has arrogantly and wrongly assumed that they can sweep this matter under the rug. This may be the way business is done in Chicago, but it’s not the way things are done in our nation’s capitol and I am intent on getting to the bottom of this. Joe Sestak realized that he made a mistake by letting the cat out of the bag. It’s a mistake that might end his bid for U.S. Senate and damage President Barack Obama. He doesn’t want to make things worse than they are, so he’s sticking to his story to maintain his own credibility, but will not cooperate with investigators to bring charges against the guilty White House official. If he’s telling the truth, an investigation must take place and justice must be served. If he’s lying, then he should immediately resign the race for Senate. Obama was questioned about the alleged bribe at Thursday's press conference to which he said there will be an official response to be released shortly. Google "9/11 Nukes - Radiation-induced cancers"